These original Solfeggio frequencies, still have the capacity to transform your life in miraculous ways. Their origins date back to ancient times when they were sung in the Gregorian chants during religious ceremonies in churches of that time. But mysteriously, around 1050 AD, they mysteriously disappeared, presumably lost forever. 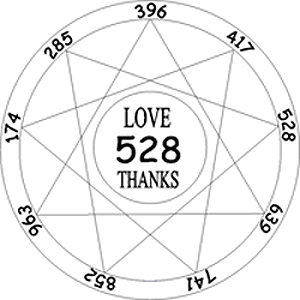 The Solfeggio frequencies contain the six pure tonal notes that were once used to make up the ancient musical scale, until, it has been presumed, they were altered by the Catholic Church and Pope Gregory I, (better known as “Gregory the Great”), who served from 590 to 604 AD. The Church claims that they have “lost” 152 of these amazing ancient Gregorian chants, but more than likely, they have been purposely locked away in the bowels of the Vatican archives. One of those sacred chants, however, known as, “The Hymn to St. John the Baptist,” has re-emerged and now can be found on a few select CD releases such as, “NPR Milestones of the Millennium: CHANT – Hymns and Sequences – Gloria in Excelsis Deo,” which is available on the iTunes music store. This hymn also goes by its Latin name which is, “Ut Queant Laxis Resonare Fibris [Hymn],” and can be found on the CD, “Chant II” by The Benedictine Monks of Santo Domingo de Silos. “The Hymn to St. John the Baptist” has become known as the most inspirational hymn ever written and features all six Solfeggio notes. Our modern day musical scale is slightly out of sync from the original Solfeggio frequencies and is, consequently, more dissonant as it is based upon what is termed the “Twelve-Tone Equal Temperament.” In ancient times, the musical scale was called “Just Intonation.” And also, our modern music also falls within the A 440 hz frequency, which was changed from A 417 hz, around 1914. In essence, nearly all the music we hear today on the radio and that is sold in stores, whether rock, jazz, soul or classical, is atonal and counter productive in comparison to the amazing transformational powers of the great Solfeggio tones. Our modern music is literally at dis-ease with the human body.